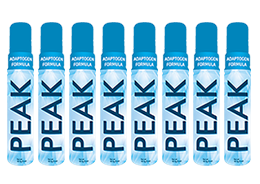 Our flagship product is our PEAK Adaptogen Formula. 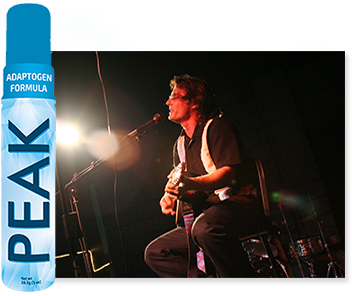 PEAK combines the highest grade of Deer Antler Velvet with Antioxidants from some of the most nutrient rich super fruits on the planet. For over 2,000 years, the legend of Deer Antler Velvet has been used in traditional Chinese medicine to treat various medical concerns and to improve general health. Deer Antler Velvet is a 100% natural food and is not a foreign substance. Since 1930, there are hundreds of published papers and studies on the biochemical effects of taking Deer Antler Velvet as a recommended daily supplement. 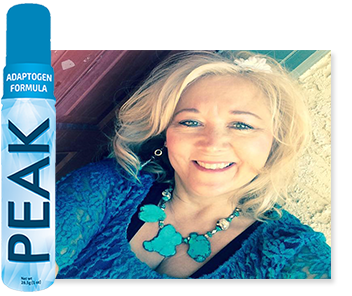 Our PEAK Adaptogen Formula will restore homeostasis to an unbalanced body by helping it where its needed. We recommend you take PEAK daily to maintain a healthy lifestyle. I was in pain with sciatica for 12 years. The doctor prescribed medicine that did not work. After 6 days of taking PEAK, I am pain free. 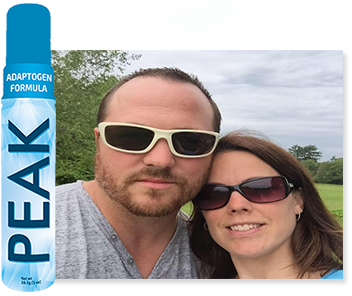 Peak has repaired the tendons and ligaments in my body after going through several surgeries and antibiotics which destroyed them. A year and a half ago 10% mobility.. Now, 90% and feeling stronger than ever. I have been learning belly dancing this year and my right shoulder was giving me a lot of pain. After a week and half of using Peak, my shoulder pain is GONE! This product is AMAZING!